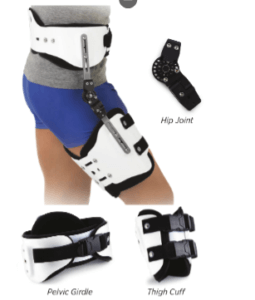 Having a hip injury can be very painful and debilitating; we rely on our hip to perform many of our daily activities. We sit, stand, walk, jump, and run using our hips. The severity of a hip injury can range from a simple strain to fracture or dislocation. Many of the injuries can be treated with rest, but some of the more serious do require bracing or surgery. 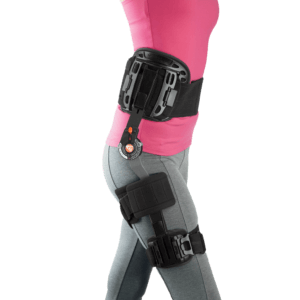 We have some solutions to help with any range of hip issues. Give us a call today! HIP DISLOCATION INJURY: The hip is a “ball and socket” joint and a hip dislocation is when the head of the femur (ball) is forced out of the acetabulum (socket). This may be the scariest type of hip injury. There are many mechanisms of injuries for hip dislocation, including forceful trauma or weak musculature surrounding the hip. Any dislocation must only be reduced by a trained healthcare professional. Some dislocations may require follow up surgery after the dislocation is reduced. If dislocations become a re-occurrence then the doctor may prescribe a brace to help keep the “ball and socket” together. HIP OSTEOARTHRITIS: Occurs when the cartilage of the hip joint wears away from the bone and causes there to be bone on bone contact in the “ball and socket” joint. Over time with the rubbing, bone spurs can form causing even more pain. Typically physicians will decide to do a total hip replacement if the pain becomes unbearable. After surgery and through physical therapy, typically there are no more problems. In some cases the doctor may prescribe a hip brace for support after surgery if he thinks you have the possibility of dislocating. PEDIATRIC HIP DYSPLASIA: Hip dysplasia occurs in infants during their early developmental stages. It is the result of a shallow acetabulum (socket) and the head of femur (ball) not being able to fit, which causes abnormal motion. If not detected early on, it may result in bone on bone rubbing and early onset of osteoarthritis. There are several treatment options for this type of hip injury, from physical therapy to surgery. 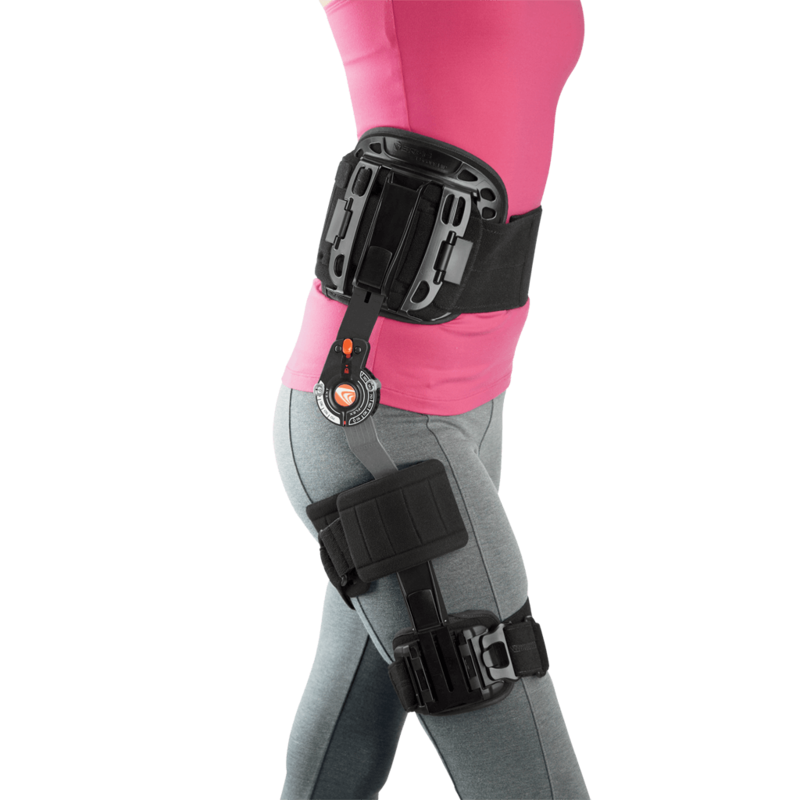 Some physicians do order a hip brace to help keep the hip joint in normal alignment during activity and possibly during rest. HAMSTRING STRAIN: To some a hamstring strain may not be seen as a true hip injury, but the hamstring is vital in the movement of the hip. A hamstring strain is the overstretching of the hamstring muscle (back of thigh). There are varying degrees of hamstring strains based on how much of the muscle is stretched; Level 1 (slight stretch) to Level 3 (complete tear). If you do have a complete tear, some physicians will decide to perform surgery to re-attach the muscle. Our specialists can answer your hip injury questions. Call Us or complete our contact form. We’ll get back with you shortly.